Get bored with your forget password. Every time you clicked on it, it generates a new password. Want to get a way to know your forgotten password. Use our authentication system. You will get your forgotten password emailed to you when you click the forgot password link. 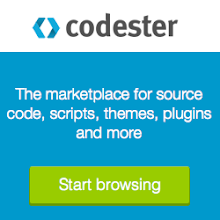 It can be implemented on Codeigniter, Opencart, Wordpress, Magento etc. It will provide you a AES - 256 based encryption with public and private key combinations. It's a strongly encrypted system. If you want to have the full authentication system installed in your system, email me at tahsin352(at)gmail(dot)com.